Gross gaming revenue take in April reached its lowest level since January 2011. But has the bottom been reached? The city’s casino industry revenue fell in April by the same magnitude as the month before. Analysts say April’s results could represent the bottom – or be a sign of the market’s consecutive 11-month plunge easing ahead of the opening of new projects in Cotai. Gaming revenue dropped to MOP19.2 billion (US$2.4 billion) in April, representing a 38.8 per cent plunge from MOP31.3 billion a year ago, official data shows. With regard to the first four months of the year, the casinos took in MOP83.9 billion in gaming revenues, a decrease of 37.1 per cent year-on-year from MOP133.5 billion. Gaming revenue in April, in fact, reached its lowest level since January 2011’s MOP18.7 billion. Casinos here are being hit by an unprecedented slump in VIP gaming as Chinese President Xi Jinping’s anti-corruption campaign bites ever deeper. 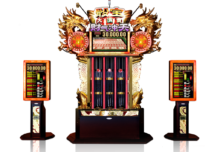 The initiative targets the illicit outflow of money from China, and has decimated revenues in Macau. Grant Govertsen of Union Gaming Research Macau says April represented the third consecutive month of broadly similar gross gaming revenue trends in the MOP19 billion to MOP21 billion range. “While this doesn’t automatically spell the worst being behind us, we believe this could represent the bottom although we acknowledge that trends could rumble along (yet still be choppy) for some number of months to come before we see any breakout to the upside,” he wrote in a note. The research house believes that the geographic expansion of the anti-corruption campaign has resulted in an incremental number of customers temporarily sidestepping Macau – while at the same time taking non-gaming trips to other regional destinations, such as Japan, Korea, etc. “This has resulted in a weaker than anticipated mass market story to go along with an already very weak VIP segment,” Govertsen says. 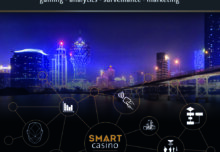 Cameron McKnight, a senior analyst with Wells Fargo, says the house remains neutral on Macau gaming as estimates and valuations adjust to a ‘’new normal’’ of tighter governmental oversight; 10 per cent and 15-20 per cent medium-term industry revenue and earnings growth, and a recovery that is likely to be flatter than reflected in valuations. Mr. Bain anticipates that May gross gaming revenue growth will continue the ‘less bad’ growth trend, ending between -33 per cent and -38 per cent year-on-year. 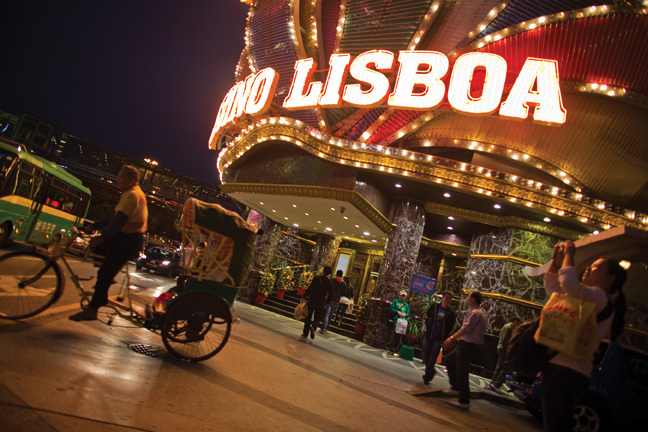 “We continue to anticipate positive year-on-year Macau gross gaming revenue growth in the fourth quarter of 2015,” he said. He notes that May 27 marks the opening of the Galaxy Macau expansion, which could modestly boost market gross gaming revenue beyond May forecasts. Galaxy’s US$2.6 billion expansion adds approximately 1,600 rooms to Cotai’s current 12,800 base, up 12 per cent. Hotel brands include The Ritz Carlton with around 250 rooms, JD Marriot with 1,000 rooms; and a Broadway Hotel with 320 rooms. Its new Promenade “will host about 200 retail outlets for high-end brands and designer boutiques. “While Galaxy’s new opening has capacity for around 500 table games, we expect it to initially receive Macau Government permission for 150 (or 200),” he added. Mr. McKnight expects a 34 per cent year-on-year decline for May. “Checks suggest Golden Week had a decent start. Our checks indicate that the start of Golden Week was healthy for a holiday weekend, as junkets and floor managers saw volumes that were about 50-80 per cent higher than a normal day. Revenue for the week/month is expected to normalise as the holiday ends, and we expect an update very soon,” he said. Ultimately, Union Gaming expects investors to begin to discount a recovery some six to nine months in advance. The house continues to believe that the gross gaming revenue story will see an improvement at some point in the second half of 2015.